With the recent renovations complete, Burger Republic have slowly refined their menu into something that will please the masses. In line with their American style street food, they have released a new dessert menu which will satisfy those looking for something sweet to finish off the meal. 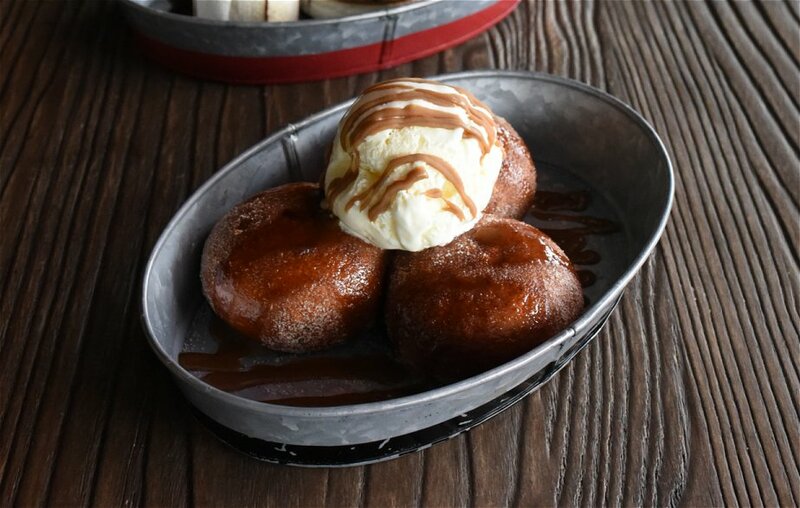 We started off with the Jam Doughnuts with vanilla ice cream and dusted with cinnamon sugar. Coming in a serve of three, the donuts are light and fluffy, and injected with generous amounts of jam. The cinnamon sugar adds sweetness to the donuts, as does the smooth, creamy vanilla ice cream. 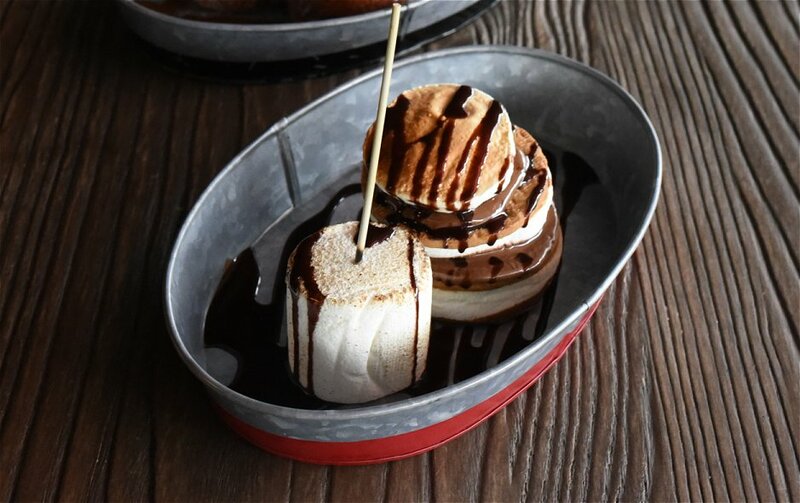 Next were the S’Mores Childhood Memories with fire roasted marshmallows, digestive biscuits, nutella and hershey’s chocolate sauce. Marshmallow lovers will certainly love this dessert as there are multiple layers of the gooey treat wedged in between crunchy biscuits. The digestive biscuits are as close as you’ll get to the American version. 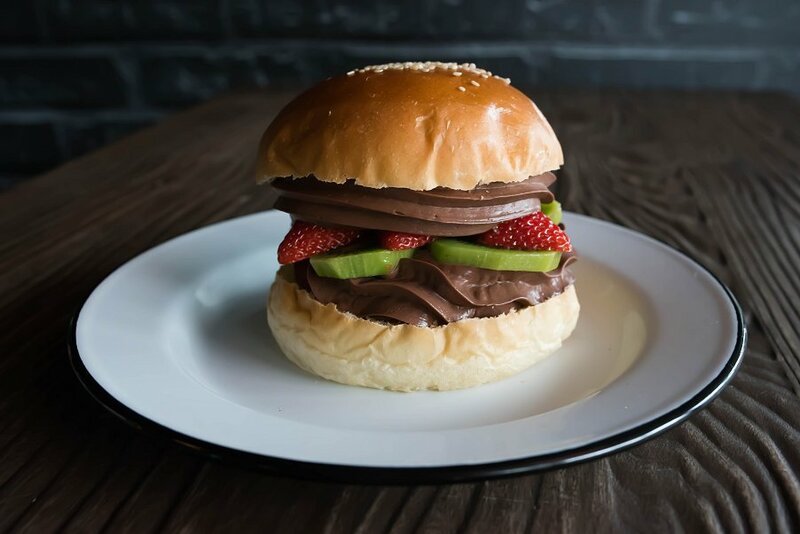 Last but not least is the Chocolate Mousse Burger with Jamaican dark chocolate mousse, fresh strawberries and kiwi fruit in a toasted brioche bun. This dessert reflects the best of both worlds; a perfect combination of savoury and sweet. The natural sweetness of the fruit is well complemented by the smooth, creamy mousse. The brioche bun is also slightly sugary which makes it perfect for a dessert. The new dessert menu at Burger Republic is a real winner and a perfect complement to their delicious range of savoury dishes. All the desserts are under $10 so it certainly won’t break the bank.